MedAccred, the new collaborative supplier quality initiative developed by the medical device industry, is rapidly gaining momentum. The first accreditation for the program has been awarded, and with more suppliers scheduled to undergo audits over the next several months, we look at what is making these companies step forward and become part of the process. The list of companies actively participating in the MedAccred program is growing. High-profile firms involved now number more than 30, including Abbott, Applied Thermal Technologies, Baxter, BD, Boston Scientific, Celestica HealthTech, Covidien, DePuySynthes (Johnson & Johnson), DSM Biomedical, Flextronics, GE Healthcare, Global Technologies, GW Plastics, Harterei Gerster, Industrial Metal Finishing, Jabil Nypro Healthcare, Kimball Electronics, Lake City Heat Treating, Medtronic, Merz Aesthetics, Paragon Medical, Paulo Products, Philips HealthTech, Plastikos, Sanmina SCI, Solar Atmospheres, Stryker, Synergy Health, Techmetals, Tecomet and Terumo Cardioascular Systems. Currently focused on cable and wire harness, heat treating, plastics, printed circuit board assembly, sterilization and welding, MedAccred audits are conducted using collaboratively created audit criteria; accreditation is granted and accepted by the program’s subscribing members. FDA is also aware of MedAccred. Since the program was established, the MedAccred Management Council (the program’s governing body) has proactively sought to keep FDA updated on the program’s development. Briefings have been held with the Center for Devices and Radiological Health’s Office of Compliance and the Office of Global Operations within the Office of the Commissioner. The program’s purpose and scope was discussed, along with the results of proof-of-concept audits conducted to demonstrate the program’s viability. tool in assuring critical manufacturing process quality by ensuring flow-down of critical-to-quality specifications through the sub-tier supply chain. 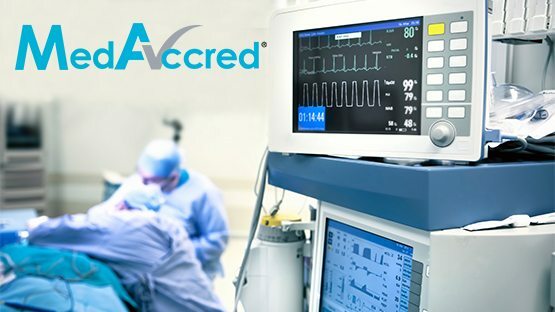 Through consensus of participating medical device original equipment manufacturers (OEMs), the MedAccred program establishes a consistent practice and organization for special process assessment. “That’s what the industry is missing right now,” said Bruce Dall, a senior staff quality engineer at Stryker who also serves as chair of the MedAccred Heat Treatment Task Group. “Ultimately, the goal is to achieve a consistently high level of product quality from our special process vendors,” he said. “Presently, every OEM has nuances in their specific expectations that lead to differences in process validation and pyrometry control requirements. This places a burden on the supply chain, as they must meet all customer requirements. There are limited common requirements. MedAccred establishes a common expectation,” Dall noted. In May, Solar Atmospheres became the first company to receive MedAccred heat treatment accreditation. equipment manufacturers and final device-makers recognize the benefits that accrue when suppliers become involved in the global management of activities surrounding their special process. Stryker viewed MedAccred as an opportunity to build those key requirements into a broadly supported accreditation program. The key to MedAccred is the collaborative approach to program development and, unlike other audit programs where auditees have little involvement in the audit criteria they must adhere to, MedAccred is different. Suppliers, as well as OEMs and contract manufacturers, are strongly encouraged to participate at all levels of the program management structure, from the task groups where they can influence audit criteria to the management council, which shapes the overall program strategy. Solar Atmospheres’ Engelhard talked openly about the benefit of active participation for his company. “By actively participating, we get to put across our perspective and have input into a program that will touch a very important part of our business. Participation also supports our company positioning in the marketplace as a company committed to being at the cutting-edge of heat treating.